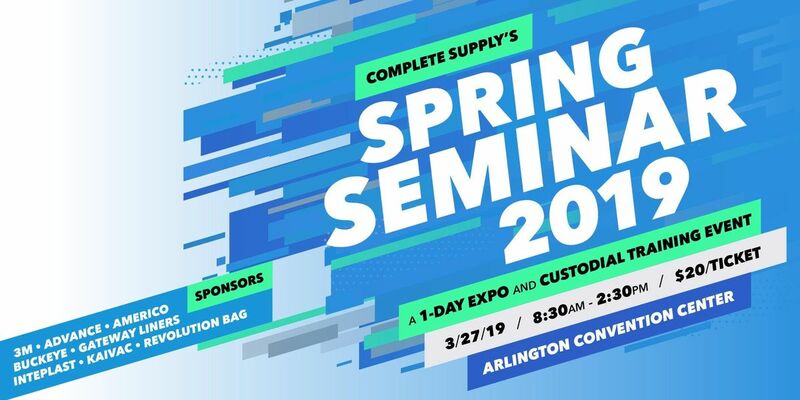 We invite you to join us for Complete Supply's First Annual Spring Seminar this March. 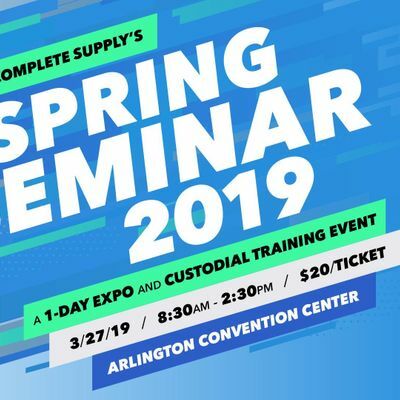 Expect one heck of an event as experts from across the industry lead 12 educational breakout sessions and and hands-on facility training for your staff. Get your hands on the latest innovations including cleanign robots at our vendor trade show. Lunch and prizes will also be provided for all attendees. Flat Mops—Will They Enhance Your Cleaning Program? Employee Training Programs That Could Improve your Operation.